Warbonnet Ridge Runner...Takes some fiddling. Had to wrap buckle where the V on the suspension meets the strap around the Tensa4 ends. Is there any silliness involved setting up an Amok? I have a 90degree. Same principle, but straps need to go higher on the tree by comparison. Thoughts? 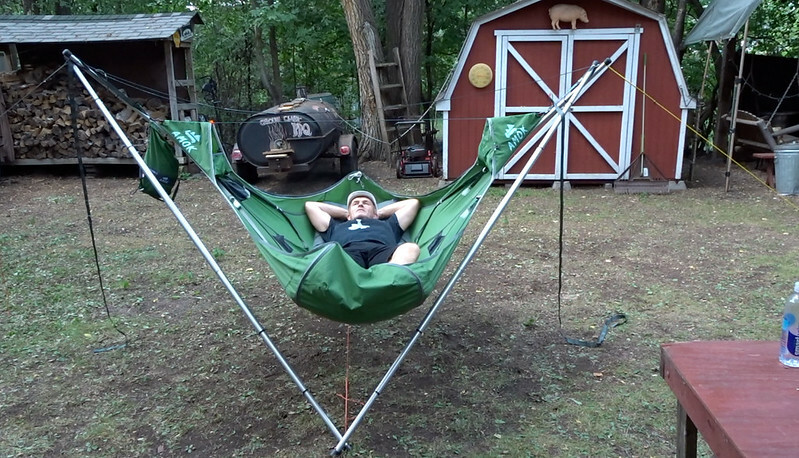 Thank you Shug for another fun full flavoured documentary explaining the very things we the viewers want to know more about... as with here the Tensa4 hammock stand! Those there cicadas lovingly singing in sharing with their approvals to mate! This Tensa4 stand would be great to take out canoeing, would this stand be ok to set up on sand..... just thinking a little about where l would set up and how to preserve for the longevity of such a great stand. Actually ...pretty easy. Some adjusting required of course. A bit fussy to fit the Ridge Runner but can be done! Not set mine on sand but heard it works. Just make sure stakes or screws are set well. Last edited by Shug; 08-20-2018 at 23:37. TThis Tensa4 stand would be great to take out canoeing, would this stand be ok to set up on sand..... just thinking a little about where l would set up and how to preserve for the longevity of such a great stand. New production now coming together in volume is anodized; should hold up well to sand/salt etc. First generation was waxed raw aluminum. When the wax wore off, black hands. It's a great idea to brush off the telescopic poles before collapsing them to avoid them jamming/scratching with grit between the segments. Shug, I'm disappointed in you! Did not want to encourage it to YT viewers! With a good set up...and after one has tacoed a couple of times, it is not a problem. But hey...I did show myself hitting the ground on an on-purpose taco. Last edited by Shug; 08-21-2018 at 08:57. 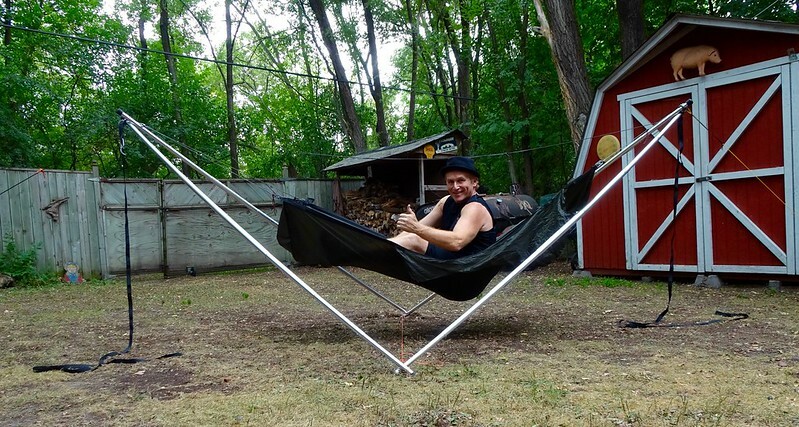 Portable, Lightweight and Sturdy Hammock Stand! Little Help Buying Portable / Lightweight Hammock Stand?